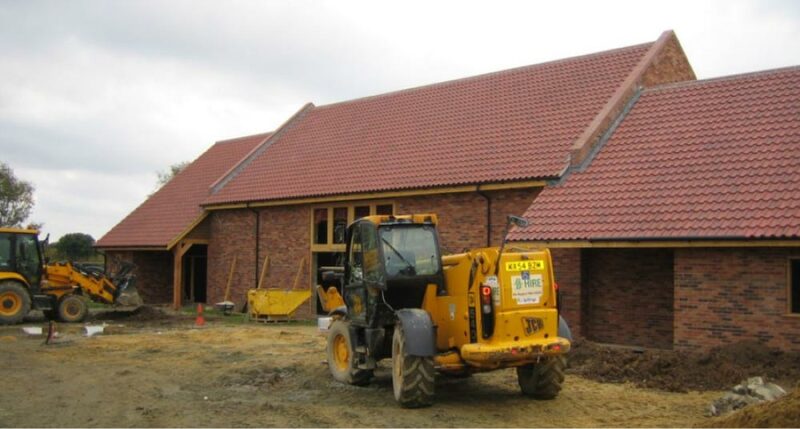 The immediate history of Hickling Barn goes back to a detailed survey conducted in 2006/7 called The Parish Plan. It identified Hickling as a community that sometimes lacks cohesion, but its findings on what the village wanted to do about the old village community hall were not very conclusive. After conducting another survey, the parish council decided that there were only two realistic possibilities: either refurbish the old hall – or build a new one on the recreation field. A team was set up to consider both options. 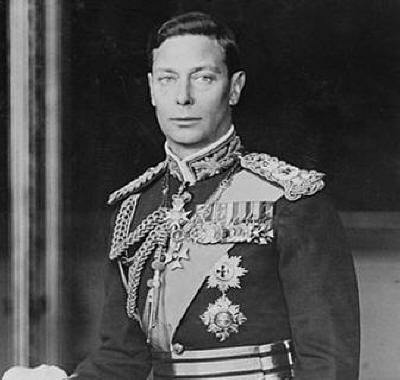 The history of recreation facilities in the village goes back a long way.In 1937, to celebrate the coronation of George VI, the wealthy Forbes family kindly donated money to the parish council to enable it to purchase the land on Ouse Lane which became the recreation ground.The land was given with a legal requirement that the council must hold the recreation ground "upon trust to permit the same to be used in perpetuity as a playing field or recreation ground for the parish of Hickling". These words then became the “objects” of the trust and the parish council was made its corporate trustee. In those days peoples’ idea of recreation was a little different. An outdoor space for games and events was all that was expected in most places. By 1976 the village wanted to develop the recreation ground to move with the times. “The Hickling Playing Field or Recreation Ground Charity” was formed with the same “objects” as the original trust. The Charity Commission approved the sale of land at the northerly end of the field as building plots. This is where Mallard Way was subsequently built and the sale raised around £47,000 for the charity. The parish council at the time decided that this money should be held in parish funds until a suitable project was started. In May 2010, the Charity Commission agreed to allow the charity to provide indoor as well as outdoor sports and recreation. It also allowed the charity to sell another two plots of land, again to the northerly end of the field, to enable the charity to raise more funds. The old community hall was originally a church reading room and in 1975 parishioners donated money so the council could buy it for the village. To have brought it up to date would have been expensive, and no amount of refurbishment would have addressed two key underlying problems: the enormous cost of heating, and the fact that there was no car park. There were some other major problems: the recreation ground charity could not have contributed to the project - as it was not on the recreation ground. But neither could the Phoenix Trust, a separate local charity which was looking for a home for its two full-sized snooker tables. To put them in the old community hall would have meant it could not have been used for anything else. 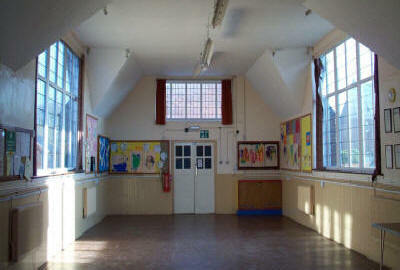 The alternative was to build a new hall at the recreation ground. But where would the money come from? Firstly, the old community hall was sold for redevelopment as a home. Then there were the recreation ground charity’s existing reserves, plus proceeds from selling the two further building plots on the corner of Mallard Way. 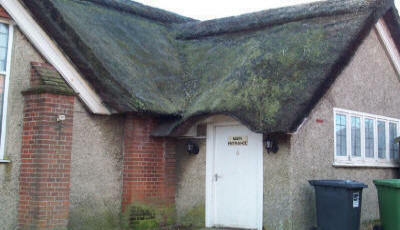 The new hall was designed to look like a traditional Norfolk barn, yet incorporate 21st century energy-saving features. Solar panels and ground source energy provide low cost heat and electricity. A plan for a power generating wind turbine, to further reduce costs and provide the hall with additional income was rejected after a village referendum. 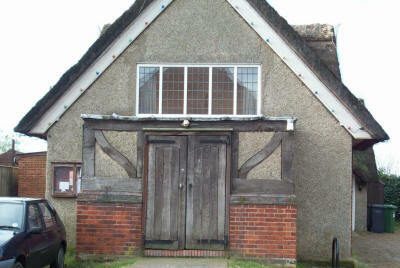 In October 2011 the hall was given its new name: Hickling Barn. Construction work on the new building was finished on time and on budget the following December. The trustees of the Barn were determined that it would be a great leisure facility for everyone in the village and also help to draw in new residents and young families. It was said that when Hickling lost its shops the heart went out of the village. 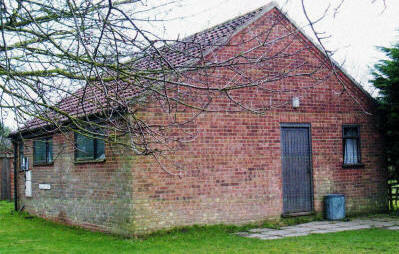 But the barn has proved to be a new focus for the community and a strong sign of confidence in Hickling’s future.